Thank you to everyone who attended the Food Industry Summit 2017! 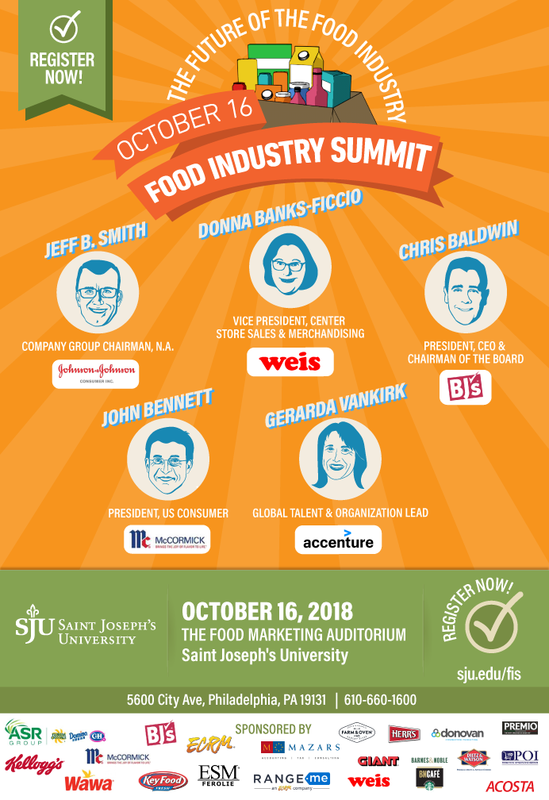 Saint Joseph's University Food Marketing Department is pleased to host the 13th annual Food Industry Summit. "Future of the Food Industry." Join the industry as the internationally renowned Food Marketing program presents a one day summit to gain insights into innovations - learning from the past, adapting to the present, and anticipating future changes that will significantly affect how we do business. Proceeds from the event support scholarships, experiential learning opportunities for students and faculty, co-op education, internships and job placement. We look forward to providing you with relevant, insightful information presented by outstanding speakers and the opportunity to network with other leaders in the food industry.